PHOTOS Grant Clarendon OSB Plant — Morgan Corp. This was a 200-Acre Site Development for a new OSB Manufacturing Facility. 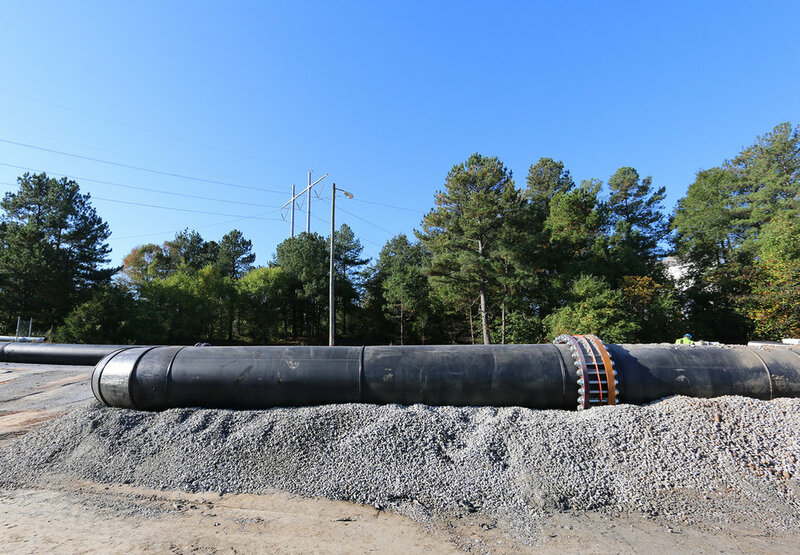 Morgan Corp., with the assistance of subcontractors, installed a 4-stage dewatering system to perform a 45-foot excavation, of which 40 feet were below the ground water table. This project involved a total of 850,000 cubic yards of excavation. 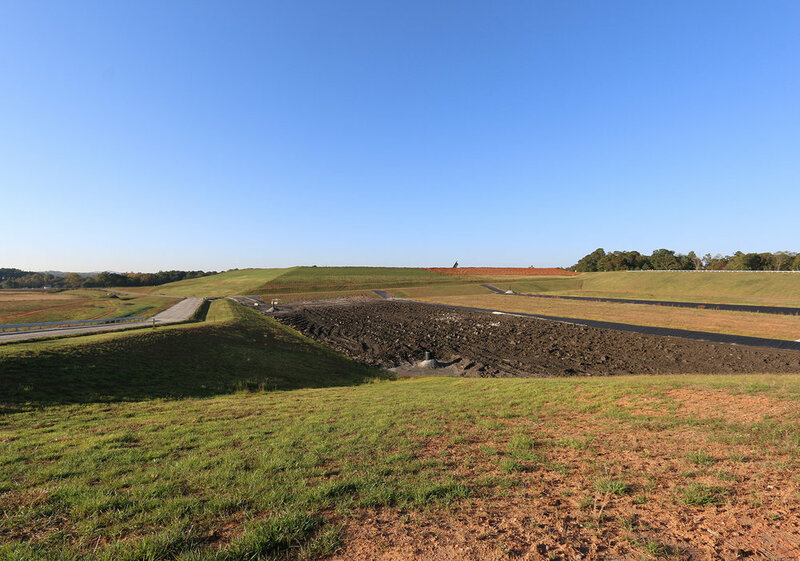 Morgan Corp. placed 150,000 tons of base stone, 8,000 linear feet of storm drainage (18”-42”), and 60,000 linear feet of silt fence. 16,000 linear feet of waterline (4”-16”) were installed. Installation of an on-site septic system included 2,000 linear feet of sanitary sewer lines, along with three lift stations. Morgan Corp.’s sub grade treatment utilized 35,000 square yards of soil cement. Morgan Corp. was able to complete this project, which was contracted for nine months, in less than eight months.